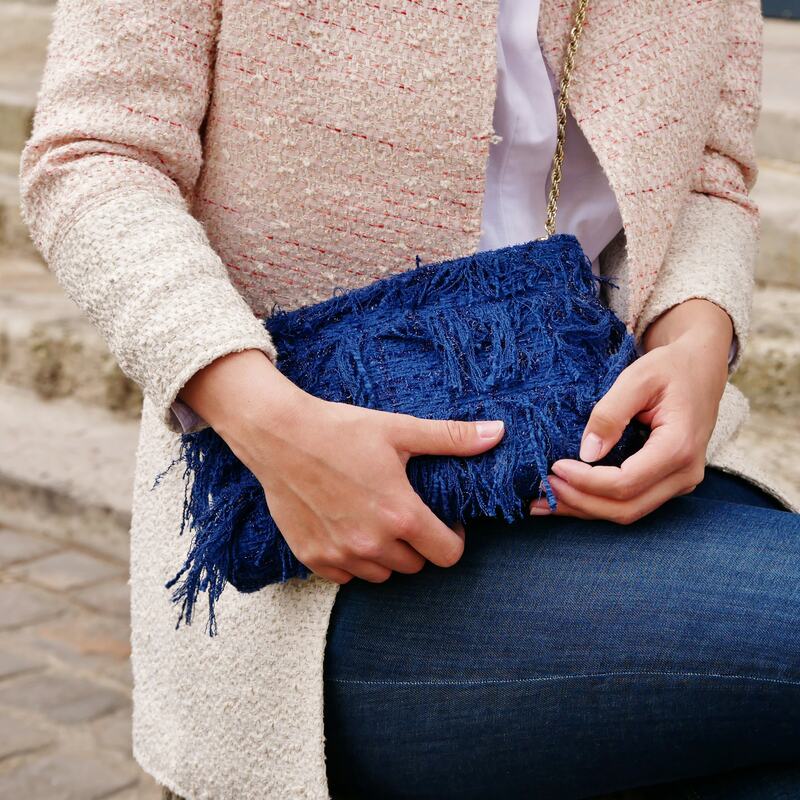 Blue evening bag with fringe. up dressed event clutch bag. blue tweed couture purse with glossy threads . Package shipping 48h. Blue evening bag, clutch bag with fringes made of designer tweed.. Some glossy threads in the weaving for a modern and really chic effect. Each bag is available with a little chain ended with hooks.